I am a third generation commercial fisherwoman with a BSc. in Biology. I have over 8 years of experience on the water through work as a biologist, an observer and a commercial fish harvester. 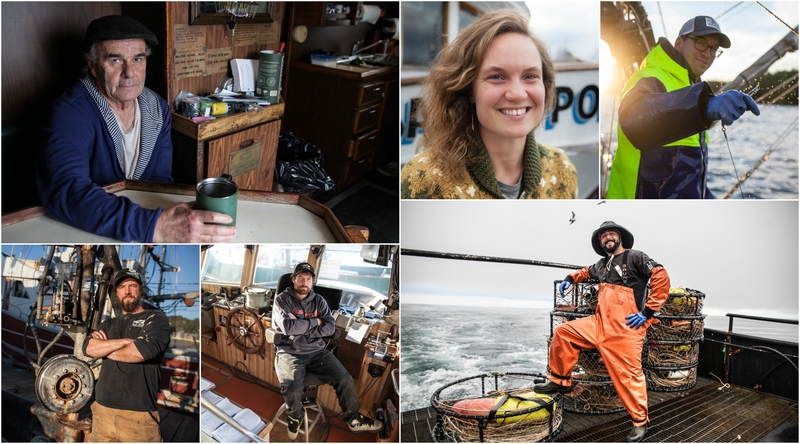 Documenting the commercial fishing industry of British Columbia. Creating marketing material for BC seafood. Family portraits, headshots, weddings, events and product photography. Supported the Marine Monitoring Program Manager in administration of Area A Crab programs. Coordinating with vessel operators to ensure required Area A crab biological sampling trips are conducted. Initiated a proposal to build out the social media platform for the BC Salmon Marketing Council. Developed and implemented a content strategy to increase brand awareness, generate website traffic and cultivate leads and sales. This role includes attending industry events, festivals and trade shows to educate and engage the public on how to access and prepare wild BC salmon. Helped execute a lobster traceability program in five small fishing communities on Prince Edward Island (2010). This involved liaising with industry member participants, including fishers, processors and fishing organizations, to engage them in the delivery of the “ThisFish” traceability program. Re-located to Vancouver Island in 2012 to take on the role of Pacific coordinator. Worked closely with fish harvesters all over the BC coast to improve marketability. Worked with large and small processing plants to implement and carry the program through to the market place. Conducted field and laboratory research to deliver the province’s Oyster Monitoring Program. This position provided the PEI oyster growers with information on oyster spawning, spat fall, growth and development to assist them in the management of their operations. Worked with oyster growers to conduct biological studies testing new methods of top and bottom culture, as well as methods of controlling invasive species, fouling and predation. Transporting boats. Launching and driving the oyster skiff in various sampling locations. Collected catch estimation data and biological samples onboard commercial fishing vessels and was deployed in small communities all along the Northeast coast from Maine to Virginia. Successfully completed training in executing annual internal auditing for Forest Stewardship Council certificate holders.